The flavor of these tastes like a hearty and scrumptious meatball with Italian seasonings – a familiar flavor to the most basic palette. But, my Mighty Meatballs are anything but basic. They include freshly cooked liver – a power food with a nutrient profile that is so magnificent you’ll want it included in your whole family’s diet. you will especially love sneaking liver into your children’s diet because of the energizing and immune-boosting effects of Vitamin A, iron, zinc and B12. You don’t need a lot either so that’s what I love about “sneaking” them into these meatballs. These get devoured in my home so quickly I usually make a couple batches and freeze some. You can enjoy a quick meal that’s incredibly nutritive by thawing, cooking with your favorite sauce and veggies or just pop a few in your mouth as-is as a quick on-the-go snack! Try some this season – you will be so happy you did, I promise! Preheat oven to 425 degrees F. Line two baking sheets with parchment paper and set aside. Heat ghee over medium heat in a large skillet. Sauté the shallot and garlic until fragrant, about 2 minutes, stirring constantly to avoid burning the garlic. Add in the livers and organic MCT oil and stir to combine. Add in the sea salt and all the dried herbs. Cook until livers are done, about 3 – 5 minutes. Remove from heat and place liver mixture in the bowl of a food processor. Blend until mixture is smooth and resembles a pate-like consistency. Place the ground beef, remaining sea salt, and pepper in a medium mixing bowl. Add in the liver mixture and stir until evenly combined. 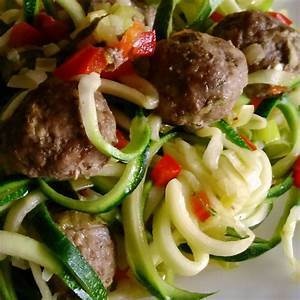 Take about a tablespoon – full of the mixture and form into a meatball. Place on prepared baking sheet. Repeat until all meatballs are formed. Bake for about 5-6 minutes or until done. Do not overcook! Serve immediately over cooked greens and top with pesto or apple bacon jam (below). Slice the bacon into small pieces and cook in a skillet over a medium heat until the fat is starting to render, stirring regularly around 10 minutes. Reserve 1/4 cup of the fat in the skillet. Add the onion, garlic, tomatoes, and apple to the pan. Cook, stirring regularly until the onions have softened and garlic is aromatic another 5 minutes. Add the vinegar, salt, pepper, spices, and sweetener, and stir in well. Bring to a gentle boil then reduce to a simmer and cook for around 15 – 20 minutes, stirring occasionally, until it is saucy. Remove the bacon-apple mixture from the pan (keeping all the delicious fat) and transfer to a sealable jar or similar. Store in the refrigerator up to 1 week.